EPA estimates that an average adult (weighing 150 lbs) who drinks 2 liters (8 glasses) of water a day will ingest less than 100 mg of sodium a day, far short of the overall recommended daily sodium intake of 500 mg. By these calculations, there is not much to worry about from sodium in your water, unless your sodium concentration is abnormally high. The best way of finding your sodium concentration is to send a sample of your water to a lab for total dissolved solid testing (covered yesterday) which will give you individual readings of the various contaminants considered TDS, of which sodium is one. 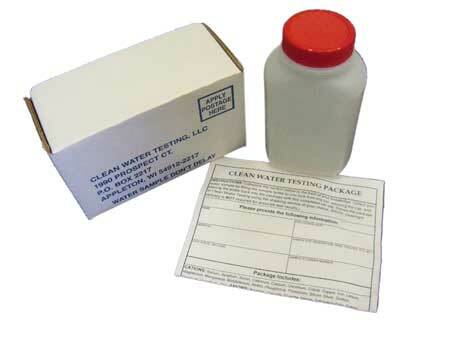 Both our Well Test Pro kits I and II come with a prepaid mailer for sending us your sample; you could also use a Clean Water test kit or a Watercheck test kit to test for sodium yourself. You can treat sodium the same way you would treat TDS as described in yesterday’s blog post: with a reverse osmosis filter, ideally preceded by an anti-scalant injection to preserve the system and keep your water salt-free for many years.